Stories are about growth. The hero is introduced to us with an internal flaw at the beginning, and throughout the course of the story (be it a book, movie, or graphic novel) he goes through a life altering event that fixes this initial flaw in their character and changes him or her into a different person by the end. Take the main character from any movie and see how their lives are at the end of the movie when compared to the beginning. They go into the movie one way and come out a different person. For better or worse, that character has gone through change. 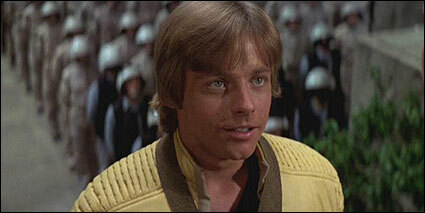 Look at Luke Skywalker. At the beginning of Star Wars he is a bored farm boy who dreams of adventure. It’s not a bad life, and he has an aunt and uncle who love him. But his major character flaw is that he is stuck on Tatooine and dreams of exploring the stars. By the end of the movie he has grown as a person and through it all becomes a hero. Even a negative change is change. Michael Corleone in The Godfather wanted nothing to do with the family business at the very beginning; this was his character flaw. But by the end of the film he had no choice but to accept his role and become the Godfather. The only exceptions I can think of is Marty McFly in Back to the Future, who despite traveling back in time didn’t have any internal character flaw (until part 2 when they introduced the whole “chicken” thing) but instead was a catalyst for change with George McFly, who’s character flaw is a lack of confidence. The same could be said for Ferris Beuller. His character by the end was the same guy we met at the beginning, but because of him Cameron was able to grow. So what about the Ninja Turtles? When you look at the characters individually they all show some growth, but the one with the biggest character arc is always Raphael. In the original movie, the animated TMNT, and the latest reboot, Raphael is always portrayed with a huge character flaw: his uncontrollable anger. It’s his weakness that affects the rest of the team and until he can learn to control his rage by Act 3 the turtles can never be a functioning team. 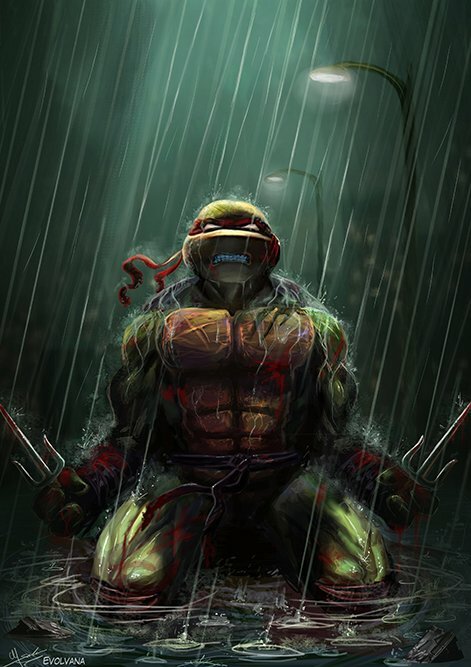 If Raphael falls then so do the rest of the turtles. This character dynamic has made Raphael the most important character of the team, time and time again. He earned this right by having the biggest internal problem of the group and through story telling had the furthest to go to come out on the side a better turtle. So while Leonardo leads the team, without Raphael’s flaws to break things down, the team is unable to regroup and grow together, stronger than ever.